Symbiotic nitrogen fixation in root nodules of grain legumes is essential for high yielding. Protein phosphorylation/dephosphorylation plays important role in root nodule development. Differences in the phosphoproteomes may either be developmental specific and related to nitrogen fixation activity. An iTRAQ-based quantitative phosphoproteomic analyses during nodule development enables identification of specific phosphorylation signaling in the Lotus–rhizobia symbiosis. During evolution, legumes (Fabaceae) have evolved a symbiotic relationship with rhizobia, which fix atmospheric nitrogen and produce ammonia that host plants can then absorb. Root nodule development depends on the activation of protein phosphorylation-mediated signal transduction cascades. To investigate possible molecular mechanisms of protein modulation during nodule development, we used iTRAQ-based quantitative proteomic analyses to identify root phosphoproteins during rhizobial colonization and infection of Lotus japonicus. 1154 phosphoproteins with 2957 high-confidence phosphorylation sites were identified. Gene ontology enrichment analysis of functional groups of these genes revealed that the biological processes mediated by these proteins included cellular processes, signal transduction, and transporter activity. Quantitative data highlighted the dynamics of protein phosphorylation during nodule development and, based on regulatory trends, seven groups were identified. RNA splicing and brassinosteroid (BR) signaling pathways were extensively affected by phosphorylation, and most Ser/Arg-rich (SR) proteins were multiply phosphorylated. In addition, many proposed kinase-substrate pairs were predicted, and in these MAPK6 substrates were found to be highly enriched. 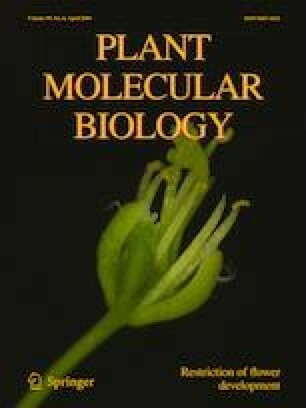 This study offers insights into the regulatory processes underlying nodule development, provides an accessible resource cataloging the phosphorylation status of thousands of Lotus proteins during nodule development, and develops our understanding of post-translational regulatory mechanisms in the Lotus–rhizobia symbiosis. Zaibao Zhang, Danxia Ke contributed equally to this work. The online version of this article ( https://doi.org/10.1007/s11103-019-00857-3) contains supplementary material, which is available to authorized users. This work was supported by Natural Science Foundation of Henan Provincial Science and Technology (Grant No. 182300410063), key scientific research projects of Henan higher education institutions (Grant No. 18A180031), National Natural Science Foundation of China (Grant No. 31400213), Funding scheme for young core teachers of Xinyang Normal University (2015, 2016), Nanhu Scholars Program for Young Scholars of XYNU and the foundation and frontier technology research of Henan Province (Grant No. 162300410257). ZZ, HY and LW designed the research; ZZ and DK performed data analysis and wrote the manuscript; MH, CZ, LD, YL, JL, LC and HZ performed protein extraction and MS analysis.